Beverley has been practicing as a Naturopath since 2003. After graduating she received awards for excellence in Herbal Medicine and Nutritional Prescribing, and enjoys regular and ongoing education in the latest developments in health, science and medicine. 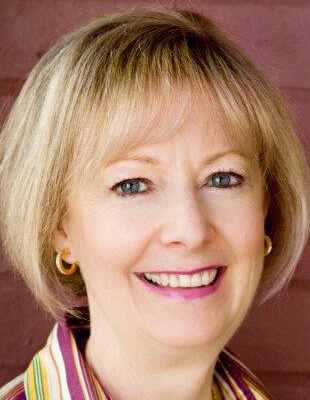 Upon graduation Beverley was invited by Ricki Anderhuber to practise with her at the South Perth Naturopathic and Herbal Clinic, and enjoyed a close professional association with Ricki until her retirement. Postgraduate studies have included the areas of Iridology and Sclerology under international teachers including Dr Leonard Mehlmauer and Dr Jack Tipps. Her further homeopathic studies have been undertaken with Franz Vermeulen, Dr Paul Herscu, Dr Farokh Master, Dr A U Ramakrishnan and Jon Gamble. Beverley consults at the Clinic by appointment on Wednesdays, Fridays and alternate Saturdays. As a Naturopath with over 14 years’ clinical experience Beverley uses her expertise to assist individuals and families find effective ways of meeting health challenges and optimising their wellbeing. Naturopathic treatment can benefit all ages, including babies and infants, children, teenagers, pregnant women, adults and the elderly. Beverley applies a holistic treatment philosophy to her practise – treating the whole person and recognising the interplay of mind and body. Rather that just treating the symptoms, Beverley strives to identify and treat the root cause of a condition, working with each individual to formulate a treatment plan unique to their needs. Through consultation Beverley strives to empower her patients, providing tools and information to maintain and strengthen their health and wellbeing. Beverley is often asked about the safety of using naturopathic medicine alongside prescription/pharmacy medicines. Naturopathic training includes the study of Pharmacology and hence the possibility of drug interactions is always carefully considered in the formulation of individual naturopathic prescriptions. Once this is done a suitable treatment protocol can be developed to work safely and effectively alongside pharmaceutical medicine for as long as this is required. Contact Beverly directly on beverley@bbnaturopath.com.au if you have any further questions otherwise please contact the clinic reception for an appointment. Included below is more information about each of the types of treatment referred to above. The potent healing qualities of herbs have been used in different therapeutic philosophies throughout history. We find plants used within Western cultures, the Indian Ayurvedic system, in Chinese medicine, in North American Indian traditional healing and others. The use of medicinal plants is the most common form of traditional medication worldwide. Based on World Health Organisation figures, herbs are still used 3-4 times as much as conventional drugs. We also see herbs being used as a source of pharmaceutical drugs. In fact allopathic medicine has its roots in the use of herbs. The majority of drugs still have their origin in plant material. For example, aspirin from Meadowsweet and Black Willow, and digitalis from Foxglove. The practice of Western herbal medicine draws on its own and other healing traditions. Herbal preparations may be dispensed as fluid extracts, teas, powders, sprays, creams as well as tablets and capsules. Herbal preparations are made in accordance with strict guidelines set out in international herbal pharmacopoeias, and under the control of the Therapeutic Goods Administration (TGA). Liquid herbal preparations enable individual prescribing because we actually formulate and make these with choice from hundreds of different medicinal herbs. An individual prescription will include herbs to support the particular organ or system under stress as well as herbs to support other essentials such as liver and kidney function, circulation and nervous system. Herbal medicine may be used for healing, cleansing, nourishing, balancing, as well as supporting and restoring function to organ/systems of the body. Because herbs have a wide range of actions a number of issues can be targeted at one time. Homeopathy is recognised by the World Health Organisation as a valid form of health care. Modern homeopathy was founded in the 18th century by a German physician, Dr Samuel Hahnemann, and is now used worldwide with a 200 year history of clinical experience. In Britain, for example, there are five homeopathic hospitals available under the National Health Service, including the London Homeopathic Hospital. Homeopathy is based on a long held belief that substances that produce symptoms in a healthy individual can be used to treat similar symptoms in a sick person. Homeopathic treatment is believed to stimulate the body’s innate ability to fight infection and susceptibility to disease. Homeopathic medicines are made from a variety of sources such as plants, animals and minerals. They are prepared according to strict guidelines set out in international pharmacopoeias, and under the control of the TGA. Homeopathic medicines are highly diluted and act gently. These medicines can be given in the form of liquid, granules, powder or tablets and are safe at all stages of life. A prescription may include dietary advice, vitamin, mineral or fish oil supplements, enzymes, prebiotics and probiotics. There are huge differences in the quality and standard of nutritional supplements available “over the counter”, and those prescribed by a qualified practitioner. Fish oils are an example of this. It is important that these are “clean” both in terms of heavy metals such as methyl mercury and also of organo pollutants such as dioxins, organochloride pesticides, and PCB’s (polychlorinated biphenyls). The majority of the nutritional products prescribed are labelled “practitioner only”. This means that they can only be prescribed by practitioners issued with a TGA certificate through their professional association. The product manufacturers must also gain approval by the TGA by validating any claims they make about the product and what it contains, in other words, to verify that the label accurately reflects what is in the bottle. This involves detailed examination of a person’s diet and lifestyle, with suggestions for positive change. For example, this may include increased water consumption for adequate hydration, reducing levels of acidity in the body, moderating alcohol consumption, encouraging exercise and movement or looking at use of stimulants or recreational drugs. Our physical health is influenced by our way of thinking, our feelings and emotions. When we think negatively, unhappily or destructively, ill health often follows because our thoughts have a powerful influence on our health. Flower essences promote emotional, mental and physical wellbeing. They are used to overcome worries and fears, feelings of hopelessness, unhappiness, apathy, resignation and lack of confidence. They contain the healing properties of particular flowers, but no physical part of the flower so there are no problems with allergies. Flower essences are dispensed in liquid form, and taken in drop doses. There is no unpleasant taste. They are inexpensive and again, safe at all stages of life, with no risk of side effects or adverse interactions with any other medicines.